With friend and ecumenical mentor Ron Roberson, CSP in town this week for the updating of the Vatican’s official guide on the eastern churches, I decided it was time to make my first visit to the American parish in Rome, Santa Susanna. Having spent 11 years in Rome as a student at the Oriental Institute and then as staff to the Pontifical Council, Ron also served as vice-rector of the parish community at Santa Susanna, which is staffed by the Paulist fathers. So, on this brief visit back in Rome, he was presiding at the 10:30 liturgy for Christ the King, and it seemed as good a time as any to try it out. I had been ‘warned’ that it was a “typical American parish”, despite my skepticism that such an animal existed. 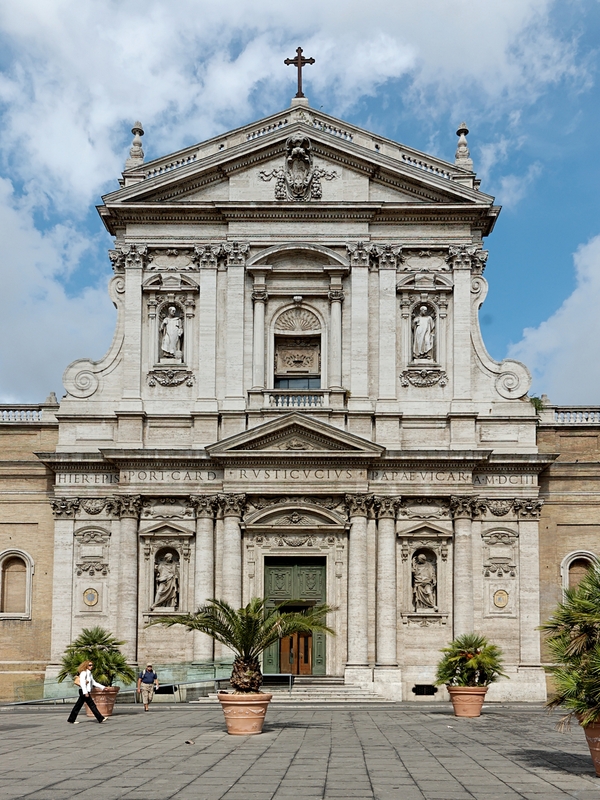 The church of Santa Susanna is one of the oldest in Rome, originally build in 330 AD in the Constantine basilica style over the house church of St. Susanna, martyred in 293 AD. You can still go down into the crypt, which was part of the original house, and where the Eucharistic feast was celebrated since at least 285 AD. St. Susanna, her father St. Gabinus, and St. Felicity are all buried here. During the 8th and 16th centuries it went through some dramatic renovations and restorations. The current design and style dates to 1595, and the façade was the original masterpiece of Carlo Maderno, whose work impressed Pope Sixtus V enough that he was commissioned to do the same for St. Peter’s Basilica. The liturgy and community experience was, I admit it, ‘typically’ American, especially compared to my other liturgical experiences of the last two months. The organ played too loudly, so you could hardly hear the choir or assembly sing. The music was otherwise good, generally singable, and very mixed in style. The preaching and presiding were great, not surprisingly. There was even a full 8 ½ x 11 parish bulletin (most Roman churches have none, or a smaller worship aid rather than announcements), and coffee and cornetti after mass in the vestibule. 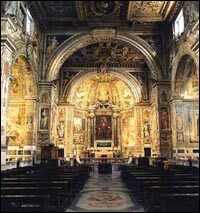 People always ask about liturgical postures, so I have to add that the most notable was how much time was spent kneeling: More than any other church in Rome, including the Tridentine rite parish! The universal norm calls for standing throughout the Eucharistic prayer, but several national churches have adapted that somewhat to include kneeling. In Rome, either you stand the whole time (as at the papal liturgies) or just kneel between the Epiclesis and the mysterium fidei. The U.S. norm is kneeling from the Sanctus to the Great Amen – which seemed like a really long time compared to the Roman practice. Then, they knelt for the communion rite too, which I have not seen in Rome, or in the States since before the GIRM revisions. Thankfully, in proper American tradition, we had padded kneelers. By A.J. Boyd in La vita Roma on November 22, 2009 .